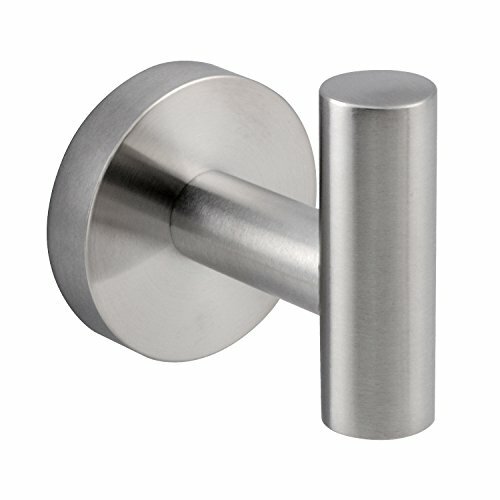 Woooow robe hook is made of highest 304 stainless steel. 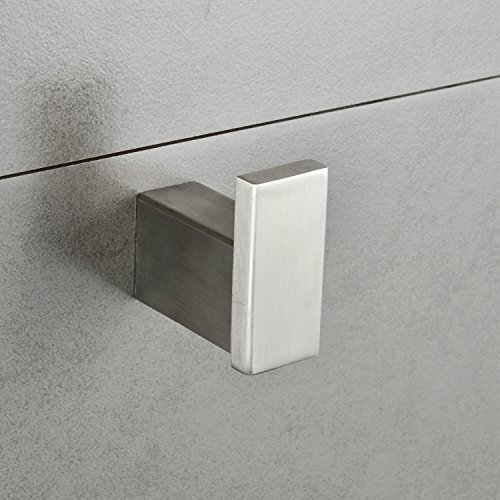 Classical design meets modern technology with a clean and simple silhouette. 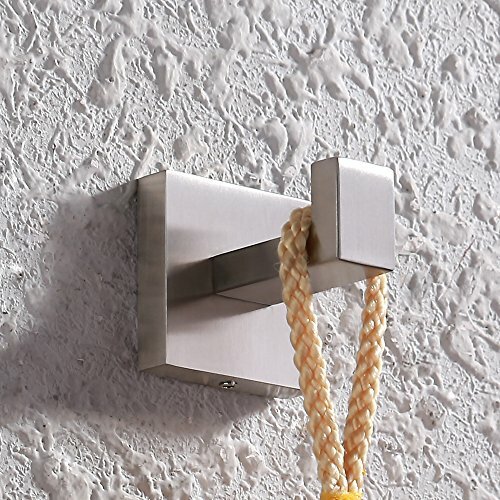 You can hang cloths, trousers, keys, towels, aprons and puppy leashes and other items on this hook. 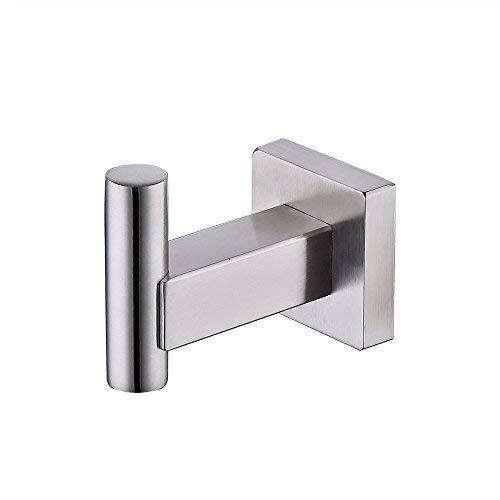 [SPECIFICATIONS] Body Material : Premium Grade Stainless Steel Finish : Brushed Nickel Anchor : High Quality Installation Method : Wall-Mounted [Package Includes] No.1: 2.55''Double Robe Hook No.2: 8.35" Towel Bar, 24.4''Towel Bar No.3: 5.7'' Toilet Paper Holder No.4: All installation Hardware No.5: Installation Tool (Allan Wrench) [Buy from Fapully ] Solid metal construction,SUS304 will NOT rust Beautiful and elegant look Heavy duty design High quality,Concealed screws Organize and Decorate in One Easy Step Wall Mounted Take Advantage of the Unused Wall Space Through Out Your Home Making Your Home Seem Less cluttered [Customer Service] If you meet any issue,please do not hesitate contact us,we will help you to solve it try our best. 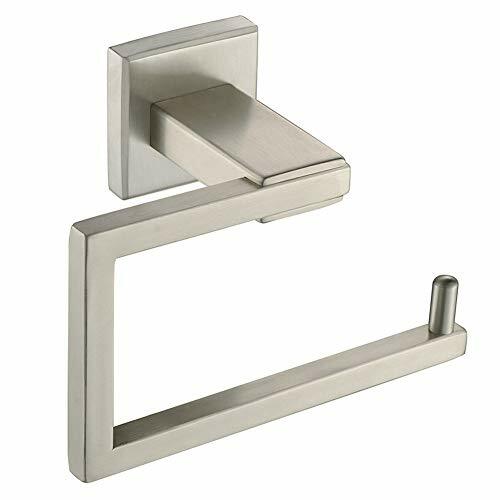 FeatureThis geometric toilet paper holder is a functional replacement for the traditional one, toilet paper won't fall off.Solid SUS304 stainless steel construction ensures durability and longevity, resisting daily rust and tarnishing.Clean lines with beautifully brushed nickel finish add a modern touch, nicely matches your bathroom fixtures.SpecificationsFinish: brushed nickelMaterial: SUS304 stainless steelInstallation Type: wall mountNet Weight: 0.4 lb. 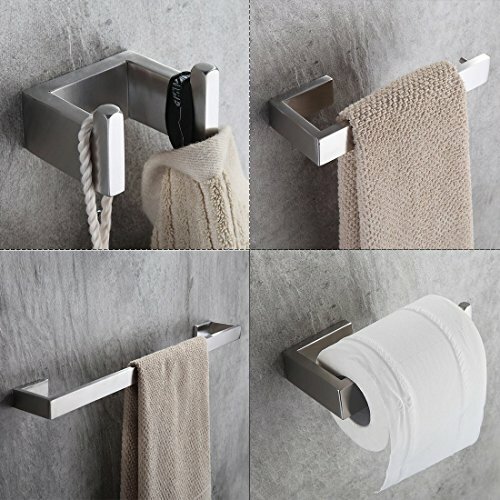 (181g)Dimensions (Length x Depth x Height): 5-1/2" x 2-13/16" x 3-3/4" (140 x 72 x 96mm)Package IncludedToilet paper holder x 1Mounting hardwareSuitable forRVCondoMotorhomesBasementRestroomLavatoryKitchenTravel trailerPowder roomBathroom remodelCommercial officeUpscale hotelAny other spaceNote1. Please allow a little dimensional deviation due to manual measurement.2. 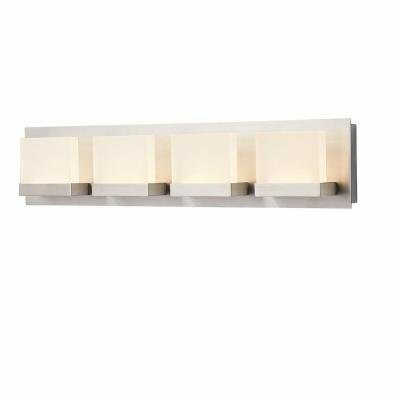 There may be a little color aberration due to different monitors and light influence. 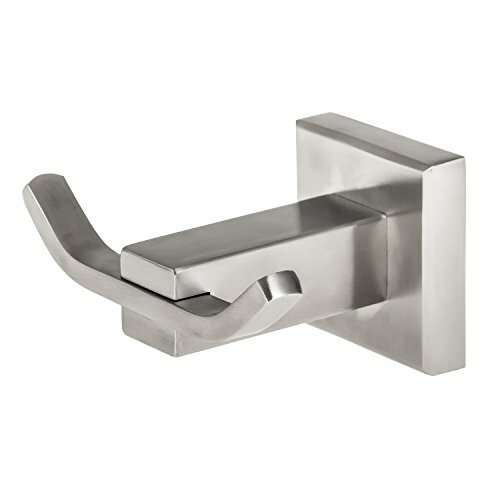 Style designed to match PREMIER essen faucets accessories also complement many other brand of faucets durable metal construction concealed screw mounting hardware includes screws and wall anchors contemporary styling installs in minutes.